In 2018, we started adding archery related products from other suppliers to our shop to increase the range of products and to add value for our customers. We started with target faces and face pins. Due to personal interest, blow guns followed recently. The number of product increased steadily, the service was well recieved by our customers. But, we now risk that our customers have difficulties finding our own products in our shop. That is why we will refocus on our products in the shop https://shop.sichtkraft.com. 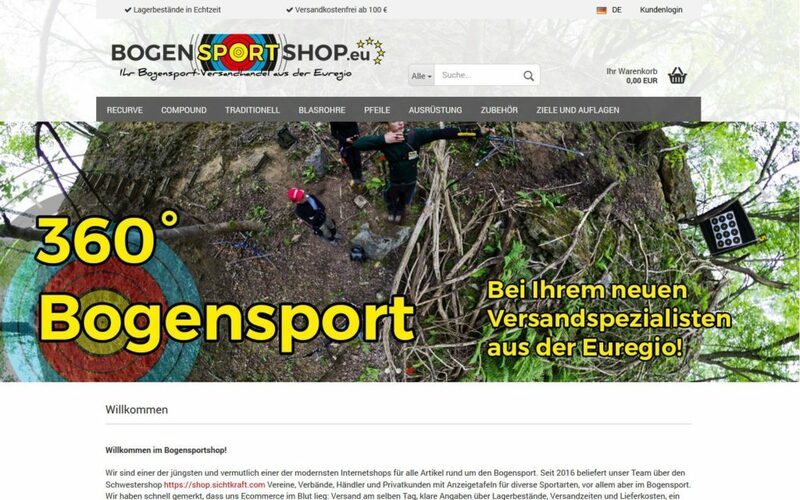 For all other archery related products, we opened a new shop that can be found at https://bogensportshop.eu/en/. We are excited about this new development and we are looking forward to your visit in our new shop!